The stories in This Year in Jerusalem by Jeffrey F. Barken relate much more than just the author's experiences volunteering on a kibbutz. In the opening story of this debut collection we meet Myles Fletcher, a young American waiting in Tel Aviv for his work visa and assignment to a kibbutz. Myles convinces Kurt, a non-Jew from South Africa, to join him on a trip to Jerusalem. In the holy city, the two of them hear bells, which give this story its name. Kurt states that he "didn't think you'd hear church bells in Jewish city." This is just the first of many small observations that characters in the book make about their stay in Israel. While "Bells" and the other stories are each strong enough to stand alone, they are interconnected, allowing us to reacquaint ourselves with the characters at emotional turning points in their lives. 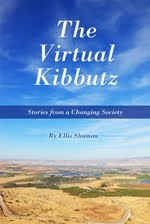 In the story "Diaspora", Myles has "already been living on a kibbutz for a few weeks". His job is laying sod, but he "could never grasp the language or the scope of a project." In a parallel story, we meet Ari Shultz, a childhood friend of Myles, who is traveling westward across the United States. There is bad blood between the two, something we will only fully understand as the book progresses. The following stories, "The Guns of Gaza" and "The Smell of Garlic" tie Myles's life on the kibbutz to the traumatic times facing all Israelis. While some of the foreign volunteers "were itching for an eruption of violence ever since they arrived," Myles becomes "impatient with the Israelis for not compromising with the Palestinians. On the other hand, the Palestinian rocket attacks and kidnappings were a menace." He then concludes, "But at the end of the day, I'm an American here. I can't really side with anyone else." In the title story, Myles is bound for a Thanksgiving dinner, a very American celebration taking place in the heart of the Israeli capital. At a time of giving thanks, Myles wonders if he should head back to the States to make amends with Ari. "I was opening a new chapter in Israel. Call it in the spirit of the holiday, for me it wasn't fall. It was the spring of my life." Myles wonders if he was "ready to do the hard thing - go back to the States and apologize to Ari." "No amount of wandering in the Holy Land would heal the wound," Myles thinks, leaving us with the hope that he will soon reconcile with his good friend. The stories of This Year in Jerusalem are complemented by the ink drawings of Irish artist Diana Muller, who helped bring the scenes of the book to life, as noted by the author, despite the fact that she, herself, has never yet visited Israel. 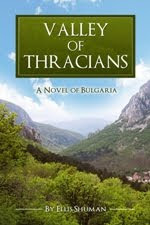 "The opportunity to work with such a talented artist as Diana has provided me the rare chance to see my characters come to life through someone else's eyes," the author writes in a note at the book's end. Jeffrey F. Barken, a graduate of Cornell University and the University of Baltimore’s MFA in Creative Writing and Publishing, frequently reports on Israel news topics and Jewish-interest literature. 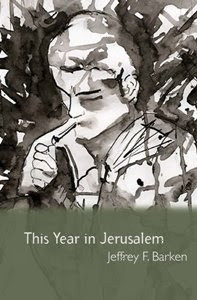 The stories of This Year in Jerusalem, Barken's debut collection, leave the reader with an appetite for more. The author is currently living for a year in Haifa. Hopefully, his new experiences will make their way into literary form, whether as interconnected stories or possibly, even as a novel. Buy This Year in Jerusalem and read it now!